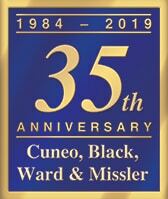 Laura joined Cuneo, Black, Ward & Missler in 2014 and became a shareholder in January of 2019. She has practiced workers’ compensation law since 2010. 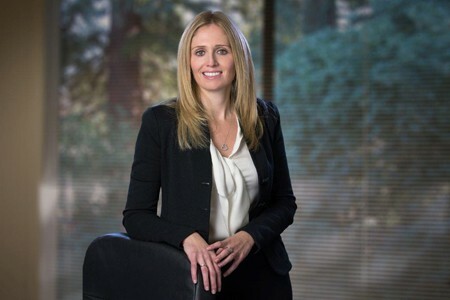 Laura received her designation as a Certified Workers’ Compensation Specialist by the State Bar of California in 2018. Laura represents both insurance carriers and self-insured employers including public agencies. Her practice is focused on representation that is tailored to achieve each client’s specific goals. Her skills and past experience include initial case analysis with recommended litigation strategy, discovery implementation, negotiations and settlement, as well as trial and post-trial appellate work. Because of her significant experience, she has become very adept at estimating permanent disability, developing a settlement strategy and finalizing settlement early and quickly when possible. Laura is an experienced appellate attorney. She has handled numerous appeals, including Petitions for Reconsideration and/or Removal as well as appeals both at the Court of Appeal and the California Supreme Court. She has also successfully defended appeals filed on behalf of applicants. Laura handles a wide range of workers’ compensation claims including catastrophic injuries, psychiatric injuries, and injuries involving public safety employees. She is also frequently hired on a consultation basis by employers even though the insurance carrier is represented by other defense counsel. She provides an analysis of the case that helps the employer understand the litigation process and serves as a liaison between the employer and defense counsel. She once handled a case where the injured worker was a workers’ compensation defense attorney who filed cumulative trauma claims against three separate defense firms. Member of the Traynor Honor Society. California State Bar Certified Workers’ Compensation Specialist.